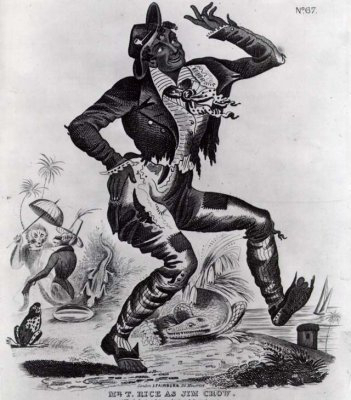 Rice, Thomas Dartmouth (1808-1860): Daddy Rice was a white performer and playwright who became one of the most famous minstrel show entertainers. His signature act was as Jim Crow whose dancing and speech patterns he said he had learned from a black stable boy. He appeared at the Adelphi during four seasons.